SO I CARRIED ON UNTIL I GOT TO THIS! WTF! 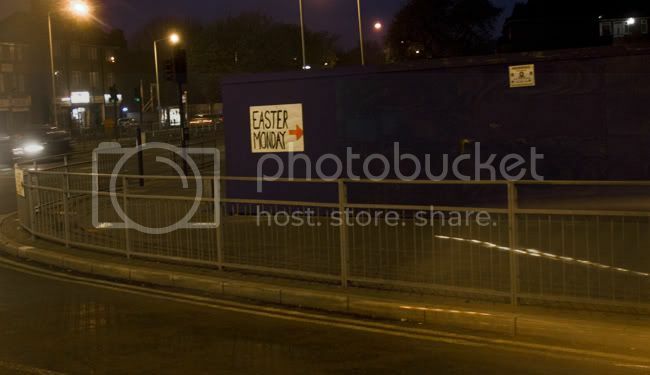 THIS LEVEL OF TACKINESS COULD ONLY EXIST IN BLOODY DAGENHAM. 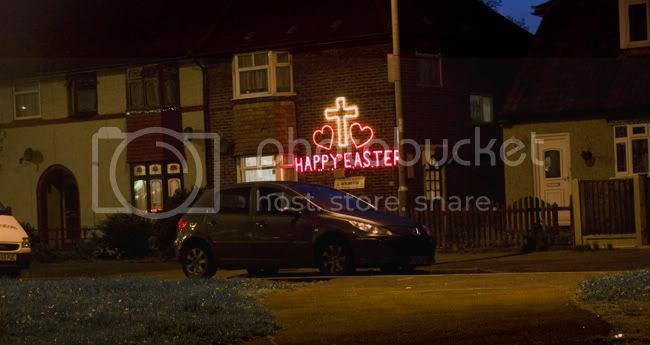 I KNOW ALL ABOUT CHRISTMAS LIGHTS BUT WHEN THE HELL WERE EASTER LIGHTS INVENTED?